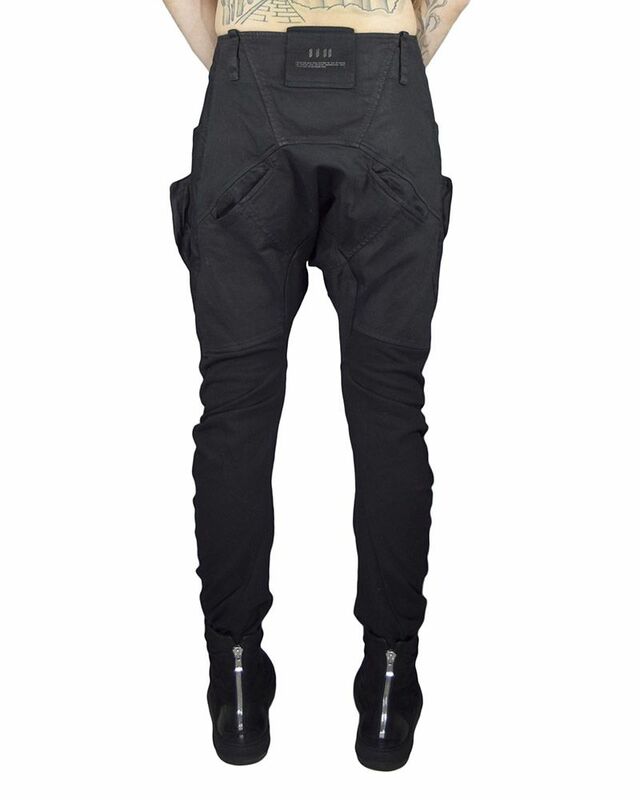 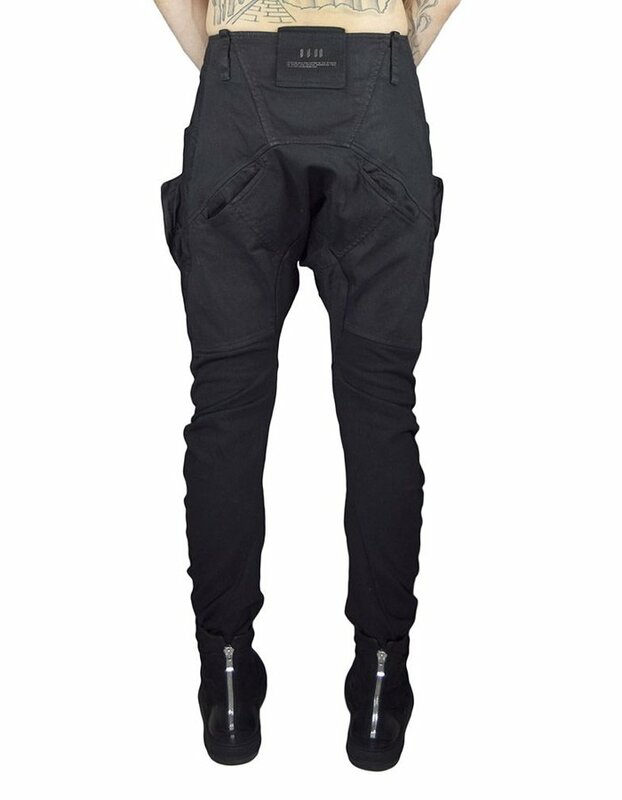 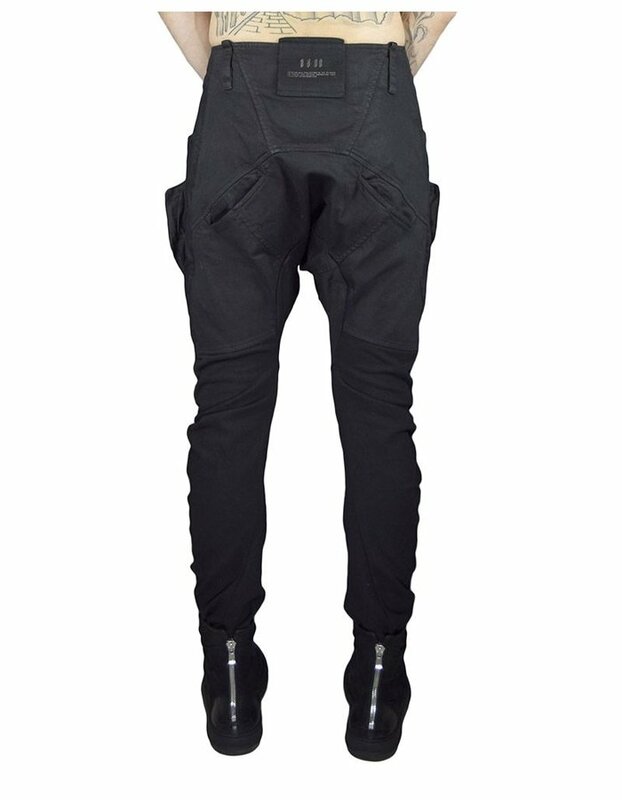 COATED COTTON, DROP CROTCH CARGO JEAN. FOUR POCKETS. 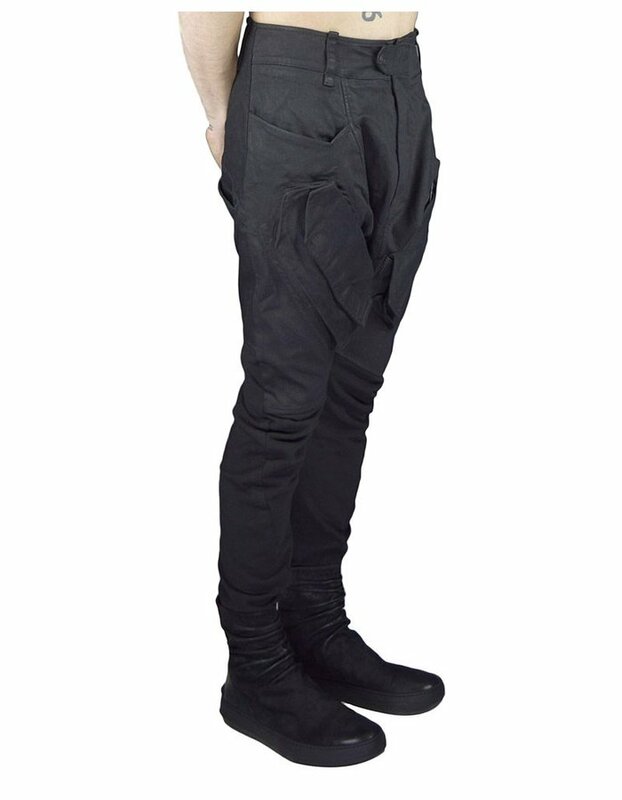 TWO VELCRO “CARGO” POCKETS. 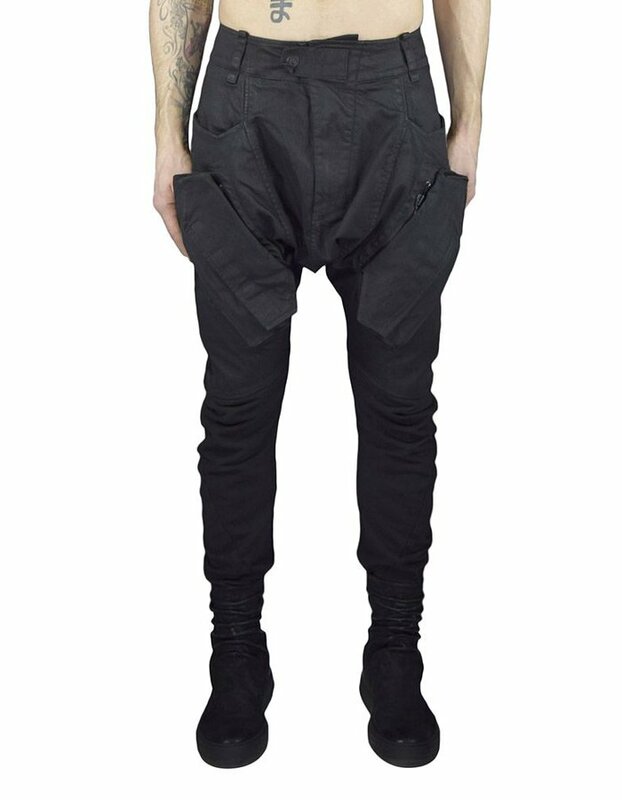 TWO CONCEALED ZIPPER POCKETS. 74% COTTON 24% LINEN 2% SPANDEX MODEL IS WEARING A SMALL.